I didn’t think I would have to make a tutorial for the Xerea dress but yesterday i received 2 emails from seamstresses who had trouble with the back yoke of the pattern. They told me it was too short for the back piece and didn’t match at the shoulders. After checking the pattern, I understood where the confusion came from: the pattern pieces are correct but it would be easy to get that difference in length if you didn’t sew the bias binding just as instructed. 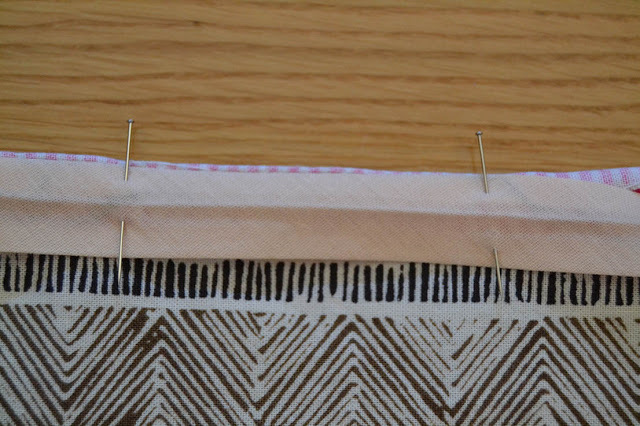 So let’s see how you should attach the bias binding on the Xerea dress neckline. 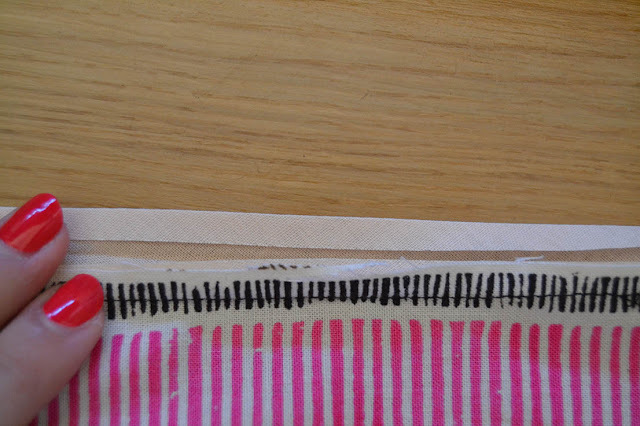 Here is your bias binding: double fold and a pretty normal width, here approx. 2,5 cm (1″) when completely open. First, pin the bias binding on the neckline, with right sides together (oups, my fabric is upside down, make sure yours is with right sides together!). 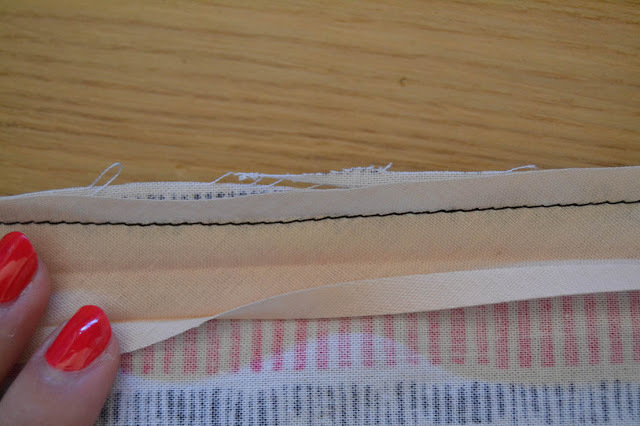 The bias binding raw edge should match the fabric raw edge. 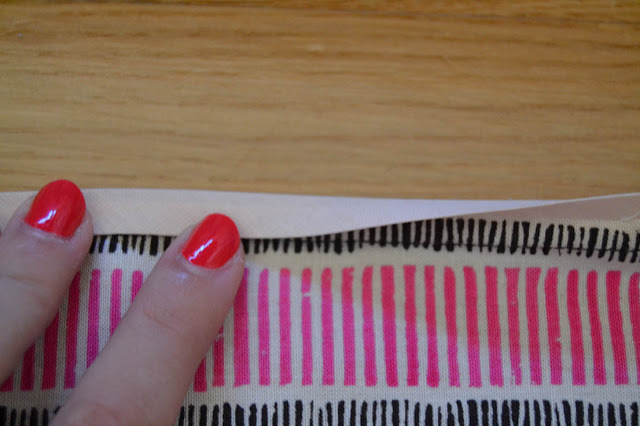 Then stitch inside the first fold line crease. 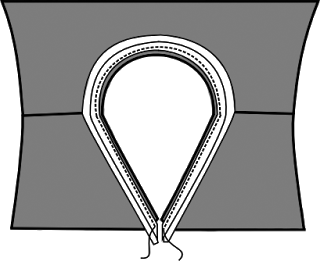 This should be between 0,3 and 0,5 cm (1/8″ and 3/16″) from the edge. 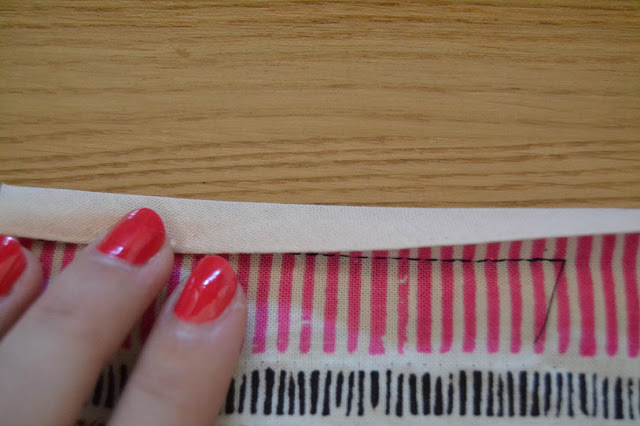 Fold the bias over the seam allowances along the center fold and then fold it again to the inside. Press. Edgestitch. The bias binding is stitched on the inside of the neckline and is now invisible. This will give you a very narrow seam allowance around the neckline and the back yoke seams are matching correctly in the back. 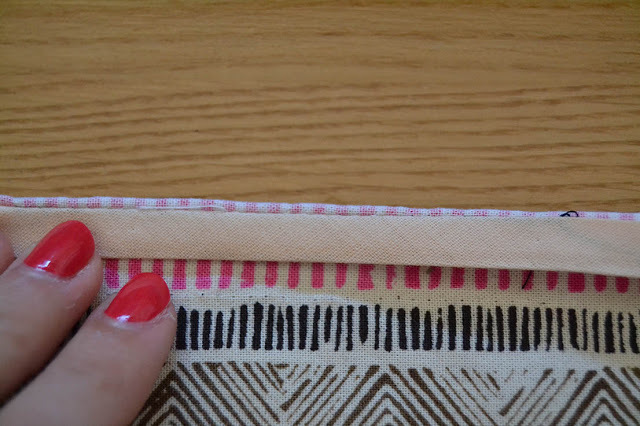 You can also fold the bias binding only once to the inside. This will give you more structure to the hem, but I would recommend this only for the sleeve and dress hem, not the neckline. Another possibility would be to make the bias binding a decorative part of the dress and make it visible on the neckline. 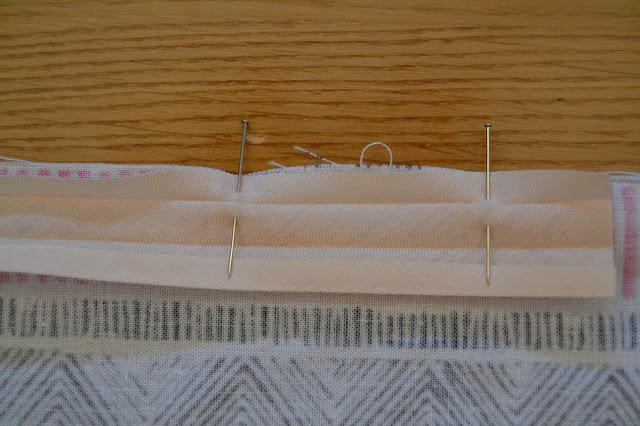 Pin the bias binding to the neckline, matching the raw edges. 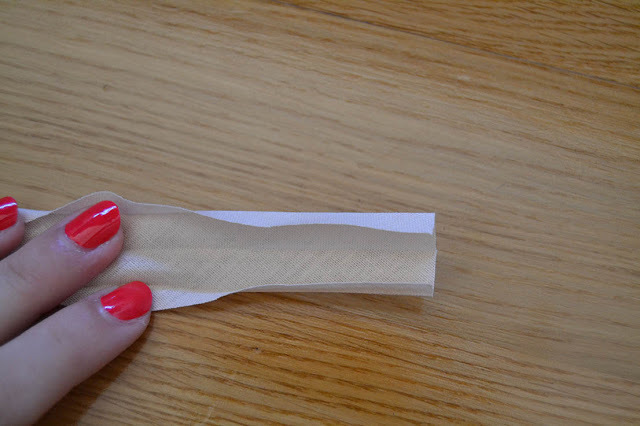 I like to pin it to the wrong side but this is a personal preference, you can also pin it right sides together. 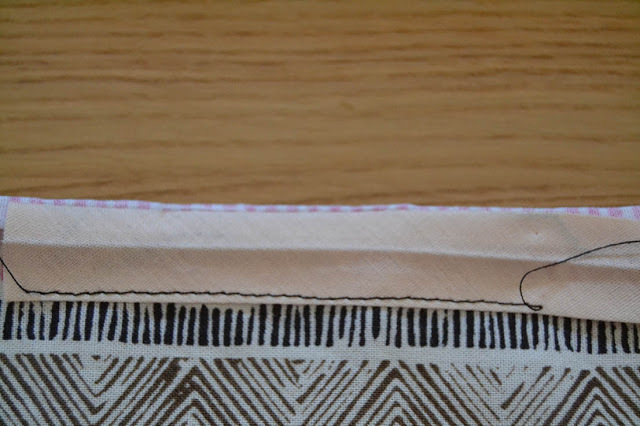 Stitch inside the first fold line crease. 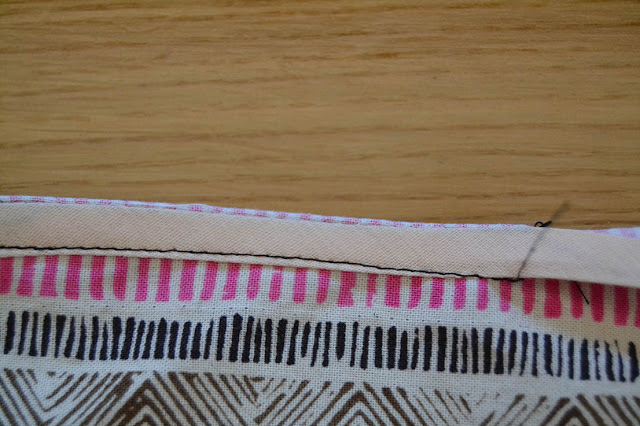 Fold the bias binding over the seam allowances to cover them and edgestitch (make sure your binding covers the first line of stitching you did). 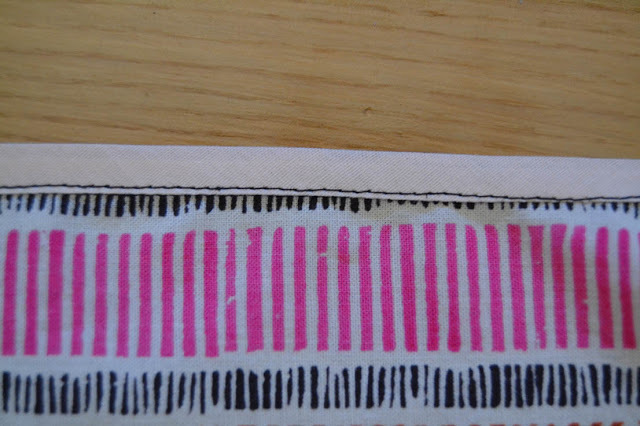 This would look nice with a constrating color binding.Please let me know if you have any questions. Merci Pauline ! Je viens de comprendre pourquoi mon montage ne fonctionnait pas… Je l'ai cousu tout comme expliqué, mais mon biais est plus proche des 4cm déplié que des 2,5cm que tu as utilisé… Bon ben y a plus qu'à recommencer ?